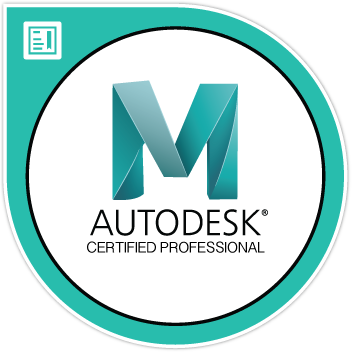 Autodesk provide two levels of certification. Autodesk Certified User (ACU) for entry level candidates and Autodesk Certified Professional (ACP) for career power users. The following details all available certifications. 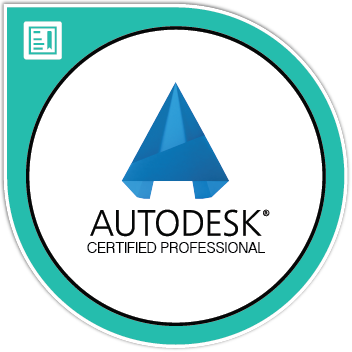 The Autodesk Certified Professional certification assesses professional users' knowledge of the tools, features, and common tasks of AutoCAD. Earners of this certification have demonstrated knowledge of dimensioning, basic drawing skills, using hatching and gradients, and more. The AutoCAD Civil 3D Certified Professional certification assesses professional users' knowledge of the application’s tools and features and demonstrates knowledge of annotating and editing surfaces, designing a parcel layout, managing and sharing data, and more. An Autodesk Certified User (ACU) certification in Autodesk Fusion 360™ demonstrates product development skills using 3D CAD, CAM, and CAE tools to explore design ideas with an integrated concept-to-product toolset. The Autodesk Certified User Revit® certificationc demonstrates entry-level knowledge using building information software for careers in architecture, interior design, and construction management. An Autodesk Certified Professional in Revit Architecture® can accelerated career development, improved productivity, and enhanced credibility in the architectural and construction management industries. An Autodesk Certified Professional in Revit MEP® Electrical showcases the abilities and knowledge using Revit for engineering roles specific to the electrical field. An Autodesk Certified Professional in Autodesk Revit Building Systems demonstrates the skills and knowledge using Revit for engineering roles specific to Building Systems. An Autodesk Certified Professional in Revit Structures showcases skills and knowledge using Revit for engineering roles specific to Structures. An Autodesk Certified User in Autodesk Maya® demonstrates and validates the 3-D animation skills needed for success. An Autodesk Certified Professional in Autodesk Maya® showcases their abilities and knowledge as a 3-D animator with the professional skills and ability needed for success. An Autodesk Certified User in 3ds MAX demonstrate 3-D modeling software skills to start a career in the game, film, or motion-graphic industries.